If police in Oakland, Calif. can use Twitter to fight crime, then oral health advocates can use it to raise awareness about children's dental health — and that's precisely what we did in February. 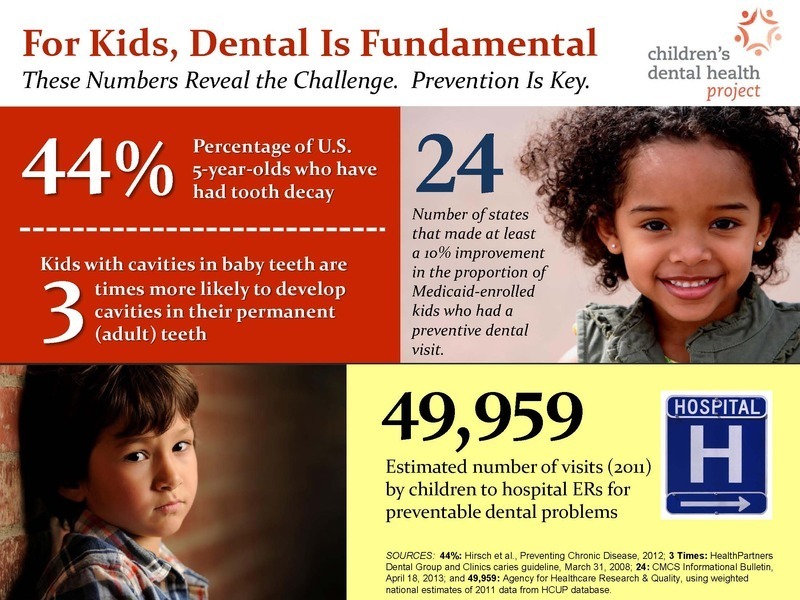 More than 300 Twitter partners used the "#dentalisfundamental" message during Children's Dental Health Month. The messages reached a combined Twitter audience of more than 1.2 million people. The Children's Dental Health Project developed this campaign, which featured more than 60 social media message. And we produced an infographic (right) to illustrate both challenges and progress in improving children's oral health. The majority of participating Twitter accounts were from areas outside the traditional oral health community. This is particularly encouraging. We need a wide variety of organizations to get the word out that oral health matters. Many diverse people and organizations took part in this social media campaign — from Campus Safety magazine to Text4Baby to the Nevada PTA. Several policymakers were also engaged. Both U.S. Senator Jay Rockefeller of West Virginia and Rhode Island Lt. Gov. Elizabeth Rogers tweeted messages with the "dental is fundamental" hashtag. Facebook messages and blog posts also helped us remind a broad audience that dental disparities persist, that virtually all tooth decay can be prevented, and that oral health problems are linked to diabetes and other serious health conditions. Thanks to all of you who participated. Let's build on the momentum.